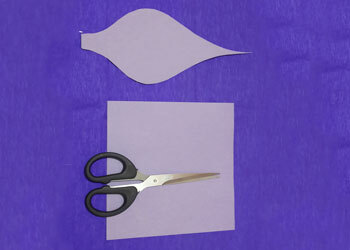 Step 1: Take the craft paper n draw a leaf on it. 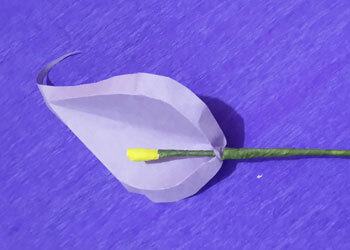 Cut it out in the proper shape of a leaf. 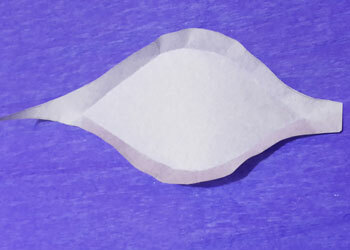 Step 2: Slightly fold the edges from all sides to give it more dimension. 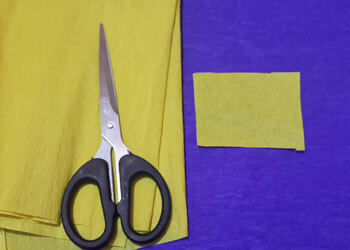 Step 3: Now take the crepe paper and cut a rectangle with 4cm and 8cm on opposite sides respectively. 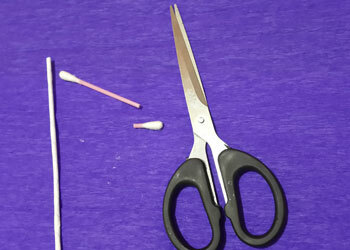 Step 4: Cut the cotton bud from one side. 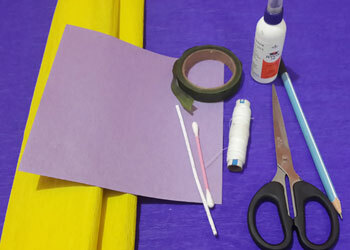 Step 5: Fold the crepe paper rectangle into half and wrap the cotton bud into it and tie it with the thread. 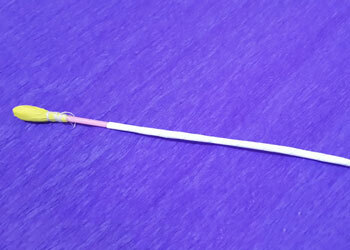 Step 6: Now, fix the cut-out part of the cotton bud on one end of the paper stick, with thread. 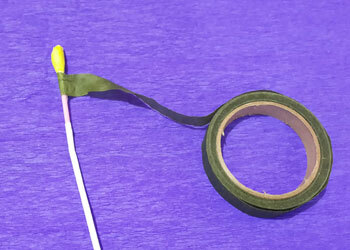 Step 7: Take the green tape and wrap it around the paper stick. 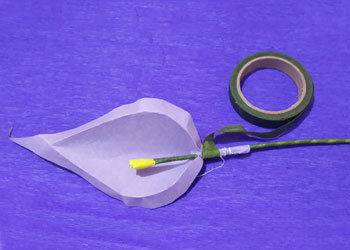 Step 8: Apply glue at the bottom of the leaf. Step 9: Roll the bottom of the leaf over the stick. 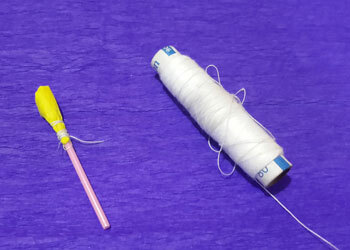 Tie using thread. 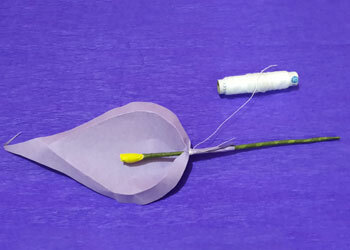 Step 10: Take the green tape and wrap it around the base of the leaf, in order to hide the thread. 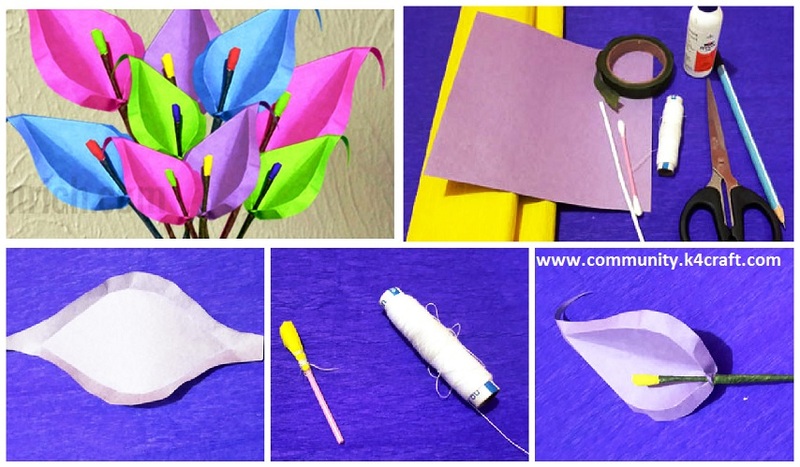 We guarantee you are going to surprise yourself with such an outstanding result of easy crafts! 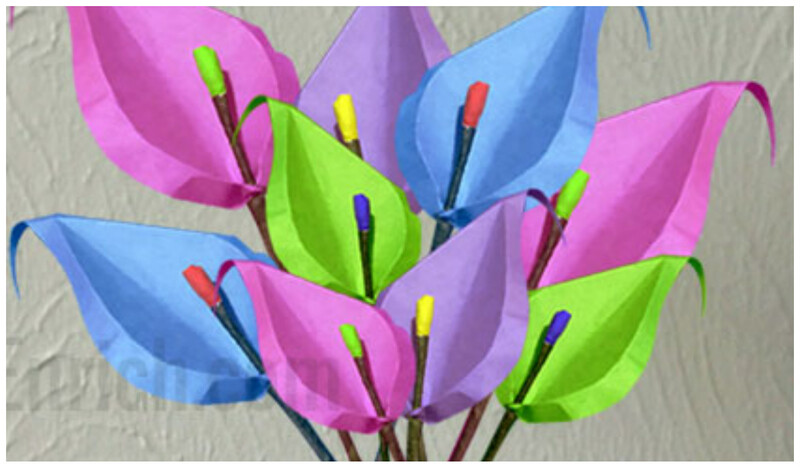 Gifting a bunch of flowers is so cliché but gifting a bunch of colorful leaves is so new and totally cool! So go ahead and be different!